Anti-hero is a central character or protagonist who lacks the characteristics of heroism as such idealism, courage, steadfastness. 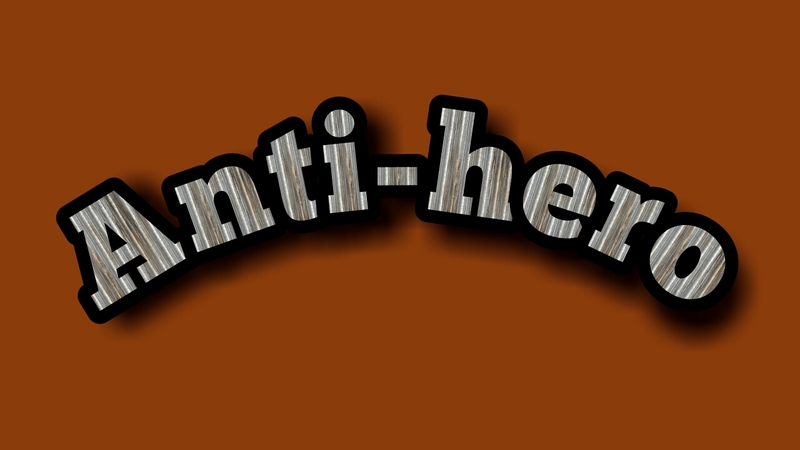 Anti-hero is a non hero or the antithesis of a hero of the old fashioned kind who was capable of heroic deeds, who was dashing, strong, brave and resourceful. 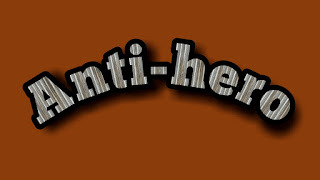 Anti-hero may be comic, anti-social, inept, or even pathetic. Don Quixote, the romantic hero of the novel of same name by Carvantes is an anti-hero. He is entirely an impractical sort of person living in the world of imagination. In the novel he appears to be utterly ridiculous and absurd. Once he attacked the windmill in action thinking it to be a giant and congratulate himself on his daring adventure. In Shakespeare's tragic play “Hamlet” Claudius is an anti-hero. In “Arms and The Man” Bluntschli is an anti-hero because he lacks heroic qualities, though he gradually wins the heart of Raina. He is a soldier but fears death. It is his duty to live as long as he can. He values food more than ammunition. He is an anti-hero.